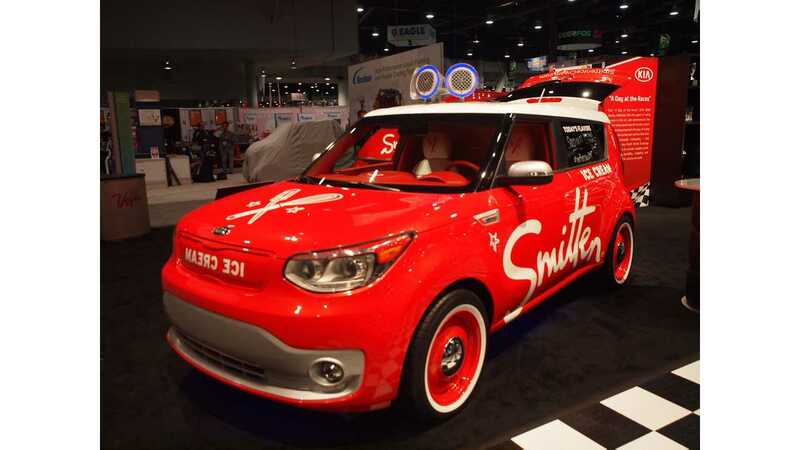 This year, Kia Motors America partnered with Smitten Ice Cream and the offspring debuted at the 2014 SEMA Show in Las Vega, Nevada. 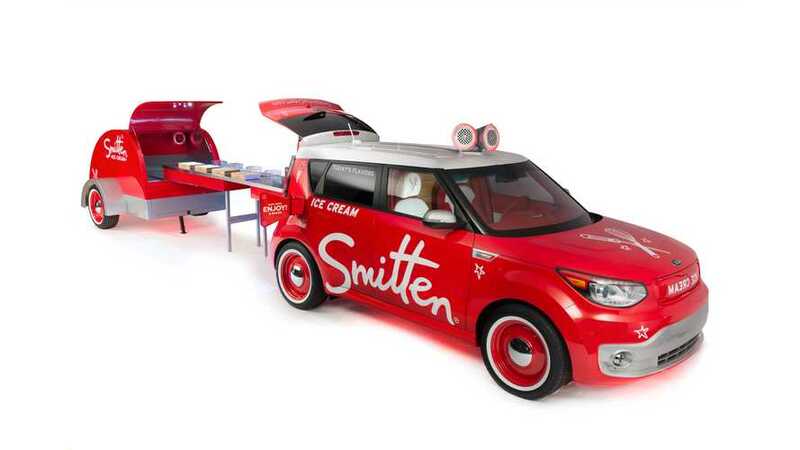 Meet the Kia Smitten Soul EV, which is an all-electric car ice cream truck. It looks slick, especially those old school wheels. Kia and Smitten Ice Cream have partnered to create a Soul EV that’s as unique as Smitten’s deliciously fresh-frozen treats. 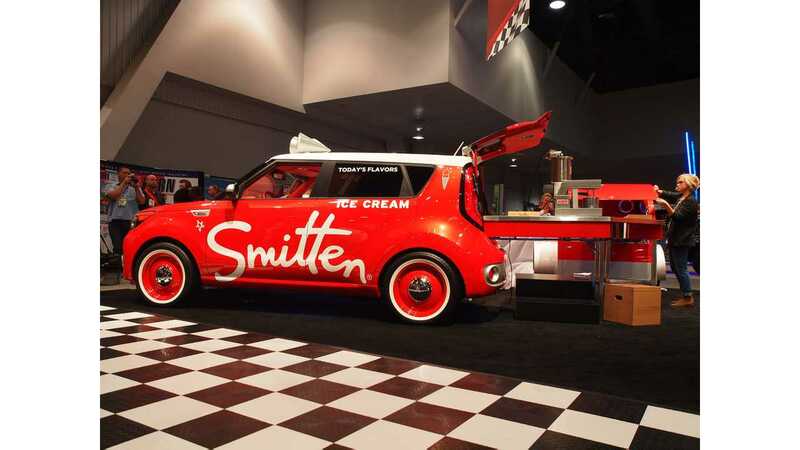 Following the SEMA show, the street-legal Smitten Soul EV will operate as a catering/marketing display vehicle for the Smitten Ice Cream Company."